This question exists because it has historical significance, but it is not considered a good, on-topic question for this site , so please do not use it as evidence that you can ask similar questions here. This question and its answers are frozen and cannot be changed. It's a free as in beer and cross platform VPN client that compatible with Windows 64 bit. Although free, but support from the author has been great. I was also able to import a cisco. Just select the pcf file and import. That's the only way we've been able to get Vista bit users to connect. It works great, pretty seamless. Probably doesn't help you much right now, but good to know you can use it when Windows 7 is released. Just make sure to go with the Windows 7 supported version currently 2. Otherwise you'll get a BSOD during the install. A bit specific compatible image is available for installation on these platforms. Key Capabilities available for Beta Testing: The Version 5 clients no longer have the integrated stateful firewall, you need to add a 3rd party firewall if desired. It's open source, rock solid, very flexible and cross platform. This is for the full users, not per user. I have got Shrew Soft 2. I had to set up a new profile on the VPN concentrator that used pre shared keys rather than a certificate for each user. Then on a spare x86 laptop, I installed the traditional Cisco client 5. We recently switched to bit desktops, and hence switched from the Cisco IPSec client to Cisco AnyConnect, and we were not required to pay any additional licenses. While you are on Win7, run it in compatibility mod as Vista, if you have problems. Cisco has a beta out that works with the 64bit version of Windows 7. I downloaded it and tested it out Thank you for your interest in this question. Because it has attracted low-quality or spam answers that had to be removed, posting an answer now requires 10 reputation on this site the association bonus does not count. Would you like to answer one of these unanswered questions instead? Home Questions Tags Users Unanswered. What alternatives do you have for bit Windows? 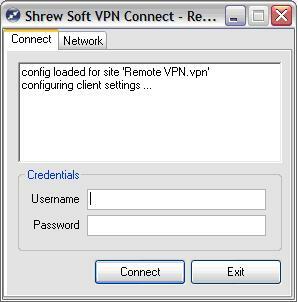 So far, I know two: THere is a bit client for cisco VPN. I have it installed and running at home, to connect to one of my clients. Sorry for the confusion. The problem is if you have an older PIX, then you may find that while you can install the AnyConnect client, your firewall doesn't support it. Ok, so the question is that your wanting specifically a "IPSec type of client" which the Cisco AnyConnect doesn't qualify as? How to configure auto-script with example for v5. Using the tree command to display the command tree FD - Technical Note: GUI access on port not working in version 5. Radius authentication with FortiConnect fails with error: Customized captive portal page will not load on client devices FD - Technical Note: Disconnecting a member from a cluster FD - Technical Note: Scheduled traffic shaping with FortiOS v5. Allowing the administrator account to access system quarantine FD - Technical Note: X FD - Technical Note: How to dedicate an interface to management FD - Technical Note: Graph legend displays v0 and v1 in place of actual legend FD - Technical Note: How to define 'allowed hosts' or 'protected hostnames' FD - Technical Note: Comparison of FortiGate Switch Mode configs between v5. How to change switch mode to interface mode in v5. No replacement message for application control when web filter is applied in proxy mode on same firewall policy FD - Technical Note: Shaping Applications with FortiOS 5. How to enable per-ip bandwidth on FortiOS 5. How to clear the crash log FD - Technical Note: How to enable Multiple Security Profiles v5. How to block files based on the hash value FD - Technical Note: How to clear logons for an email harvesting captive portal FD - Technical Note: Allowing users to login to personal quarantine with Active Directory credentials using LDAP FD - Which configuration parameters don't synchronize between a primary and one or many backup FortiManager s? FortiGate split tunnel configuration with traffic bridged locally and specific subnets routed through wireless tunnel FD - Technical Note: Reloading master controller disables master status on slave controller FD - Technical Note: Restrict sending emails to an alias email account FD - Technical Note: FortiManager reports 'Possible database integrity problem detected during scheduled verification. Changes in migrating HA clusters in FortiAnalyzer version 5. Unable to see username on traffic log - Technical Note: Information about firewall-session-dirty FD - Technical Note: Traffic dropped when firewall policy is permitting traffic FD - Technical Note: Modifying email report sender email id FD - Technical Note: How to change interface speed and duplex on 'switch mode' FD - Technical Note: Filtering logs from the policy page FD - Technical Note: Captive portal exemptions FD - Technical Note: Updating i base and handset FD - Technical Note: Why do I get logs stating 'Can't resolve the IP address of fortinetipssubmit. How to identify and restore previous version of firmware FD - Technical Note: Unauthenticated users are not identified as 'guest' FD - Technical Note: No such file or directory' FD - Technical Note: How FortiGate can block Duolingo in different ways. Why are the AP licenses not shown on an active slave controller? FD - Meru Technical Note: Steps to be followed in case of replacing a master controller FD - Technical Note: Forbidden' FD - Technical Note: Password Change to credentials but system is still using the same credentials to monitor devices and is failing FD - Technical Note: How to connect to FortiAP 5. Accessing voicemail from external phones FD - Technical Note: Filtering a report by subnet FD - Technical Note: IPS Intelligent scan mode intelligent-mode introduced on 5. How to setup and use the twinning feature to direct calls to two numbers FD - Technical Note: Unable to configure programmable keys for an extension FD - Technical Note: How to restart the wireless controller daemon FD - Technical Note: What is the meaning of 'admin-console-timeout 0' FD - Technical Note: Why multicast traffic to multiple paths to same destination do not use all interfaces in dense mode FD - Technical Note: How to setup multicast and unicast traffic over different paths FD - Technical Note: How to create a. Enable Secure Shell in FortiAnalyzer v5. Implicit fall-through feature for user authentication policies in 5. How do you configure this in 5. Changing the speed settings on an interface FD - Technical Note: Using revision option to revert to previous configuration FD - Technical Note: Limitations of getting all email from a single source FD - Technical Note: Disabling voicemail on user extensions FD - Technical Note: How to enable security profiles on FortiManager 5. Where to find policy-based packet captures FD - Technical Note: Cannot create firewall policies with interface 'any' FD - Technical Note: Blocking Exchange Groups requiring authentication in FortiMail 5. Disabling switch-controller disrupts software switch interfaces in FortiOS 5. How to allow one website while blocking all others FD - Technical Note: Upgrading the FortiGate from 5. Customizing quarantine report sender email id FD - Technical Note: Using an auto hairpin to browse a webpage FD - Troubleshooting Tip: Explanation of certificate warnings when using web filtering FD - Technical Note: Pre quasi lost and found messages in station log FD - Technical Note: How to clone a policy as the reverse of an existing policy in FortiOS 5. How to quarantine specific sender domain emails FD - Technical Note: Resolve the FortiCloud message 'Activation Pending. Please view confirmation email' FD - Technical Note: Blocking email messages with empty or blank senders FD - Technical Note: Policy routes for SIP traffic. Destination being replaced by Gateway. How to enable automatic backup on logout FD - Technical Note: First steps to troubleshoot connectivity problems to or through a FortiGate with sniffer, debug flow, session list, routing table - Troubleshooting Tool: How to check cluster checksums on v5. How to avoid 'email spoofing' using a forged sender address or fake emails accounts associated to the real domain FD - Technical Note: How to enable debug log in FortiClient v4. How to enable debug log in FortiClient v5. How to disable Internal Switch on v5. How to permit temporary access to a site during a particular time slot FD - Technical Note: Use of wan-link-load balancing with outbound traffic using wrong interface FD - Technical Note: Blocking large files FD - Technical Note: Import FortiToken license error: How to configure web page authentication instead of browser pop-up authentication FD - Troubleshooting Tip: Registration Issue for Forticlient 5. FortiGate D does not boot in v4. FD - Meru Technical Note - What happens if an evaluation license that is installed on a controller expires? FD - Meru Technical Note - How does the keep-alive between the AP and controller work, and what is the port on which the keep-alives are sent? FD - Meru Technical Note - To delete the old customized files from the controller and to upload the new webauth screen Captive Portal screen FD - Meru Technical Note - Can we run capture-packets exclusively for the guest network connecting to G2 interface? Unable to load wav music files on Fortivoice or Talkswitch systems from 6. Identifying a user 'authenticated' in web filter logs FD - Technical Note: IPsec Auto Discovery feature in v5. When a client is blocked by FortiClient Enforcement, where does the client download the installer? Could not power on VM. How to verify downloaded firmware checksum FD - Technical Note: Limiting concurrent user authentication FD - Technical Note: How to find the interface's mac address FD - Technical Note: How to set up application control on v5. Packet capture buffer limit FD - Technical Note: Exporting firewall policies to a. How do I stage a new AP? Use of web-auth-cookie feature to reduce authentication requests FD - Technical Note: How to avoid certificate error when using web filter override to control website access FD - Technical Note: Connection of unknown modems FD - Technical Note: How to block UltraSurf How to bypass antivirus and content filter check for specific senders FD - Technical Note: How to update the hardware id. How different FortiOS 5. ACL drop graph is not drawing from data collected before the upgrade to 4. Explanation of the session clash message FD - Technical Note: Steps to extract FortiAnalyzer configuration system. Customs declaration information for returning defective products FD - Technical Note: How to suspend radio for a specific time FD - Technical Note: Setting bandwidth control for only one specific application category FD - Technical Note: Distributed denial of service attacks FD - Technical Note: Cipher suites offered by FortiGate v5. Invalid argument' FD - Technical Note: Hardware failure and replacement with a spare unit on-site support procedure FD - Technical Note: FortiAnalyzer Event log message fazcfgd download app logo files: Changing country setting on a wireless controller FD - Technical Note: Managing the disk usage of email users mailboxes FD - Technical Note: How to change the password of multiple email user accounts FD - Technical Note: Error message 'slave and master have different hdisk status. Cannot work with HA master. The system is halted. Cannot log in after upgrading to FortiWeb 4. How to configure local ID in FortiClient version 5. How to shutdown all nodes of a cluster FD - Technical Note: Applications requiring resume cannot download content FD - Technical Note: Using policy based IPSec in version 5. How to access natted server internally with Public IP address: How to check the web filtering categories corresponding to the category id FD - Technical Note: Geography based addressing FD - Technical Note: Blocking the email of a known threat FD - Technical Note: FortiClient with user certificate stored in local machine certification store FD - Technical Note: No memory logs seen in FortiOS 5. How to create an admin User and assign privileges to access specific object types FD - Technical Note: SSL inspection is enabled by default in 5. How anti-replay works and sniffer usage for testing FD - Technical Note: Forward traffic log not showing FD - Technical Note: How to detect fragmented packets in a sniffer FD - Technical Note: Use of the service 'ALL' in a firewall policy with v5. AV engine version reported as Version: How to obtain an extension of services while waiting for a contract renewal FD - Customer Service Note: Where can we find an AV archived file on a FortiAnalyzer? FortiCloud remote management and dashboard monitor widgets use TLS v1. Mail server must be defined before user accounts 5. Connection refused' FD - Troubleshooting Note: FD - Troubleshooting Note: Why is the FortiExtender Link Status down? How to de-authenticate a specific authenticated user FD - Technical Note: What does revision-image-auto-backup do? Steps to add a per-ip bandwidth widget on the dashboard on FortiOS 5. What is the meaning of Interface [interface name] is brought [up down] in crashlog?